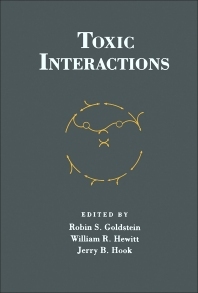 Toxic Interactions is a collection of papers that discusses the basic principles behind the mechanism of toxicological interactions. This book deals with interacting chemicals and their effects on certain exposed organs or molecules. Concerning discussion of the principles, contributed papers explain the role of xenobiotic biotransformation processes in inactivating reactive intermediates of toxicants. Other authors discuss the effects of endogenous molecules and the consequences of chemically induced depletion of protective agents, as well as the pharmacokinetic principles that affect chemical interactions. Several authors also review experiments on the types of chemicals that produce or increase the degree of toxicity. The text reviews the results of liver and kidney injuries from exposure to two or more chemicals, while other papers focus on lung and heart toxicity. For example, direct mechanism of cardio toxicity includes toxicity due to an increase in plasma concentrations of the compound, or as in latent cardiac toxicity that is a product of another action on another system of organs. Professors in pharmacology, practitioners of general medicine, specialists or researchers dealing with microchemistry, toxicology or drug therapy will find this reference valuable.